*) This is all the federations claiming to be IFA-members in the south and that also are acknowledged by the International Anarchist Tribunal. There are a few other groups claiming to be IFA-affiliates, but they are not acknowledged, and are thus not members of IFA/IAF. It must be mentioned that the group of FAF in Belgium has been rather authoritarian and oclarchical, so FAF's policy is a more than a bit doubtful. Neither the group in Belgium nor the few other federations/groups in the south claiming to be IFA members except the ones mentioned above, are at the moment acknowledged as IFA members by the IAT, because they are too marxian and ochlarchical, and have thus got expulsing and expelling Brown Cards from the IAT. Thus, these groups/federations are not real IFA-members. They are too leftist/collectivist/communist and marxist lubbeist to be real anarchist. Independent of this there is however a general dialog, also with these groups, as well as other selfstyled groups/federations claiming to be anarchist world wide, via the International Journal of Anarchism's network of the Anarchist International. A lot of disinformation about IFA-IAF-AI exist on Internet, and are put up by persons with authoritarian agendas. A warning must be given about misleading unofficial IFA/IAF web-sites on Internet that, say, wrongly lacks the acknowledged northern IFA federations and include some not acknowledged southern federations/groups. These unofficial sites are easy to see are fake and false because they are lacking the original IFA-logo and has no statement of being official IFA-sites. Ochlarchy means mob rule broadly defined, see "ANARCHISTS AGAINST OCHLARCHY (MOB RULE) AND OCHLARCHIST INFILTRATION", at http://www.anarchy.no/ija133.html,"ANARCHY VS OCHLARCHY (MOB RULE) AND ANARCHISTS VS OCHLARCHISTS" at http://www.anarchy.no/ija136.html and the official website of the INTERNATIONAL ANARCHIST TRIBUNAL (IAT) at http://www.anarchy.no/iat.html. The Southern IFA/IAF federations, except FLA and the Spanish FAI, have got a Brown Card from IAT, see http://www.anarchy.no/browncard.html for marxist and ochlarchical behaviour, i.e. they have a.o.t. been spreading defamation, libel, lies and smearstories against the Northern Anarchist Confederation (NAC) - Anarkistenes organisasjon i Norden (ANORG), and the Anarchist International in general, www.anarchy.no & http://www.anarchy.no/ai.html. The British and Anglophone Anarchist Federation is only partially a Southern IFA-IAF federations, and has thus not got a Brown Card. According to the Oslo Convention, a Brown Card means expulsion from the anarchist movemement. In general the Brown Card means expulsion from the anarchist movement. However we see hope for the Southern IFA-IAF federations in the long run, so as a special case they are not expulsed, but suspended, and a disallowance and rejection of their congresses will remain as long as the marxist leftist/collectivist/communist and ochlarchical tendency is dominant. In 1986, at the fourth IFA-congresses in the north, and in the south where NAC, The Northern Anarchist Confederation's four federations participated by phone, the southern IFA-federations, the French, Spanish and Italian turned leftwards at the economical political map due to leftist-marxist tendencies. They thus left the anarchist quadrant on the economical-political map. The three southern IFA-federationas turned out to be "the children of Marx". (The Bulgarian Anarchist Union, UAB, was not a federation, but an authoritarian group, and thus not recognized by the International Anarchist Tribunal as a member of IAF-IFA.) This leftist-authoritarian position of the southern IFA federations made it necessary to reorganize the IFA to save it from the marxist- leftist positions. Thus, the majority of the IFA federations, the four northern, decided to reorganize the IFA, and started the Anarchist biennials, a series of international anarchist congresses, the first one in 1990. The three southern IFA-federations and their secretariate were suspended by the majority of the federations, the four Northern, and the International Anarchist Tribunal, see http://www.anarchy.no/aptm.html , and the resolutions of their later congresses were disallowed, included the one in 1990. The suspension and the disallowance of their congresses will remain until the marxist-authoritarian tendency of the southern IFA-federations is removed. So far this has not happened. Thus the resolutions from their congresses from the fifth in 1990 and later are disallowed, due to significant marxist authoritarian tendencies. The Anarchist International is a broader network than the IFA/IAF-sections in the north and south. The Anarchist International is a global, undogmatic, free thinking, nonsectarian modern anarchist international, with sections for anarchoindividualist, anarchocollectivist, social individualist and mutualist anarchist and anarchocommunist as well as green/ecoanarchist, anarchosyndicalist and anarchafeminist anarchists. The Anarchist International has about 2000 networkmembers/subscribers, groups and individuals, of which about 500 are in the northern sections of IFA/IAF, i.e. counted without the Southern IFA/IAF-federations. The Southern IFA/IAF is a dogmatic, sectarian communist "anarchist", leftist marxistoid organization with little interest for the Anarchist International. The Southern IFA/IAF is more communist than anarchist, i.e. collectivist on the economical political map. Outside the anarchist quadrant on the map, far left in the marxist quadrant. It is proven significantly that the Southern IFA-federations are marxist, and have no right to call themselves anarchist, see http://www.anarchy.no/ija338.html. The Southern IFA-IAF federations are also spreading lies and smearstories about the Anarchist Internationa. This is an another example of ochlarchy. These lies are completely rejected and turned down at the document http://www.anarchy.no/anorgwarning.html. The Southern IFA-federations have thus got a Brown Card from IAT. See http://www.anarchy.no/browncard.html. 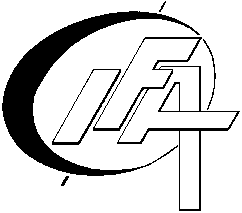 The false new "IFA"-logo, similar to the trotskyist 4th International, that was introduced by some of the Southern federations, after the majority of the IFA-federations reorganized the IFA in 1986 and copyrighted the original IFA-logo. **) The Anarchist Federation, British and Anglophone, is a confederation with IFA-sections, i.e. national federations in each country, and thus fulfilling the principle of IFA with "one federation in each country". It is partly in the North, say Canada, and partly in the South, say Mauritius. It is thus an associated member of the Northern Anarchist Confederation, as well as affiliated to IFA/IAF and AI. The Anarchist Federation, as a loose network, has a long history of cooperation with the IFA-IAF secretariate in Oslo, a.o.t. via the Anarchist Black Cross. The Anarchist Federation is rooted back to the British Anarchist Federation that was reorganized in the early 1960s. At that time this was a broad based federation including both anarchists and semilibertarian marxists and liberals, so it hardly deserved the name anarchist. Mainly some of the semilibertarian marxists, sometimes wrongly called "anarcho-marxists", related to this federation, among them Stuart Christie and Albert Meltzer, proposed to do political prisoner support at one of the yearly meetings of the British Anarchist Federation, and soon after a preliminary "Black Cross" appeared, however not called anarchist. The Anarchist Federation, British and Anglophone, works closely connected to the Anarchist Black Cross. The organ of AF, Freedom, now Freedom Online, the British anarchist paper, in October 1994 published the Oslo Convention of 1990 against mob rule etc. related to an ochlarchical meeting in October 1994 arranged by authoritarian chaos-punks, marxians and mad fogarchs posing as "anarchists", called "Anarchy in the UK", with magical "Levitation of parliament" as the main "direct action". Vernon Richards et.al.of Freedom and Freedom Press denounced this meeting, together with the IAF/IFA.